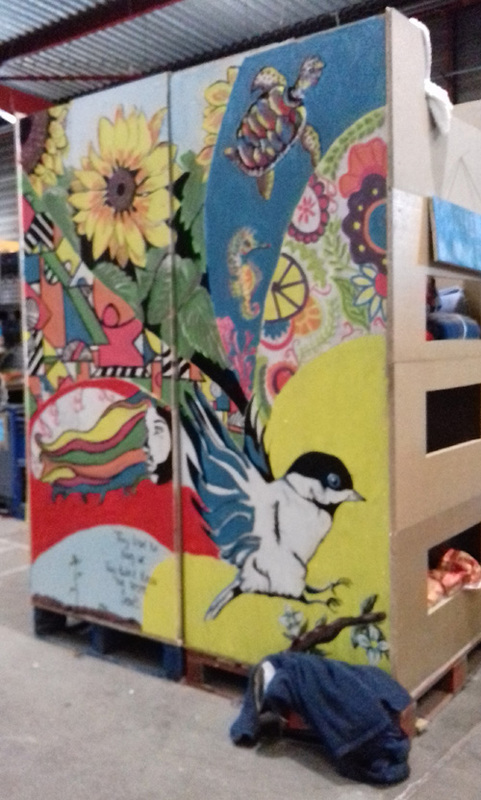 Catharine Walston reports back on this month’s convoy to Calais. After a quiet period in February, the business of sorting, measuring, washing and packing in the warehouse was again in full swing as CamCRAG volunteers arrived for the weekend. Our six car-loads of willing helpers, donations and new knives for the kitchen were hugely appreciated. Volunteer numbers had dropped in February and only the really core activities, such as cooking and distribution of clothes and bedding, were taking place. A fire in the laundry had put the washing machines and dryers out of use at the end of January and distributions had been scaled down after reports of some potentially dangerous behaviour from one individual. Sadly, mental health among the desperate migrants and refugees living in a cold, inhospitable limbo is even harder to sustain than physical health, and can’t easily be improved by a hot meal or a sleeping bag. Happily, when the Cambridge ‘weekend warriors’ arrived, the situation had calmed down, more volunteers were arriving and the laundry was whitewashed and ready to go again. We were really pleased to meet a group from Brentwood who had been inspired by CamCRAG. There was also a big group of accountants from Birmingham on an employer-sponsored volunteering day, for which we can’t claim any credit, but it is amazing to see that the word is being spread so successfully. 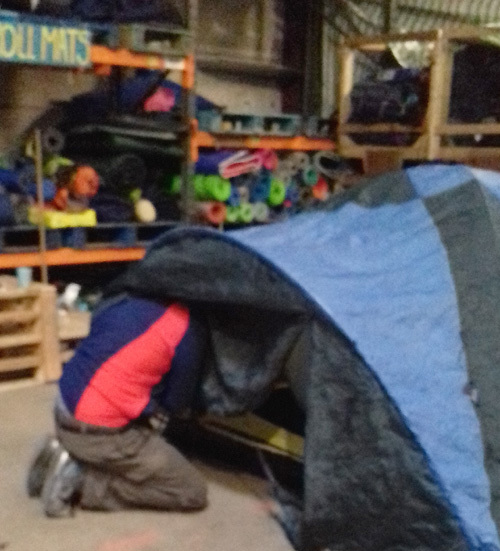 None the less, clearances of refugee campsites have been taking place on a daily basis: February saw the distribution of over 1600 items of replacement bedding, so sleeping bags are still urgently needed. Waiting in the warehouse to go out on distribution were a second batch of 300 walking boots, which Help Refugees had been able to buy new as a result of the success of their Choose Love shop over Christmas. We’ll be back again over the last weekend in April – if you want to join us apply online before Wednesday 10 April.